Qlik Sense — is a modern business intelligence platform, that allows to process any diversified data in your company with high speed and a range of modern graphics. 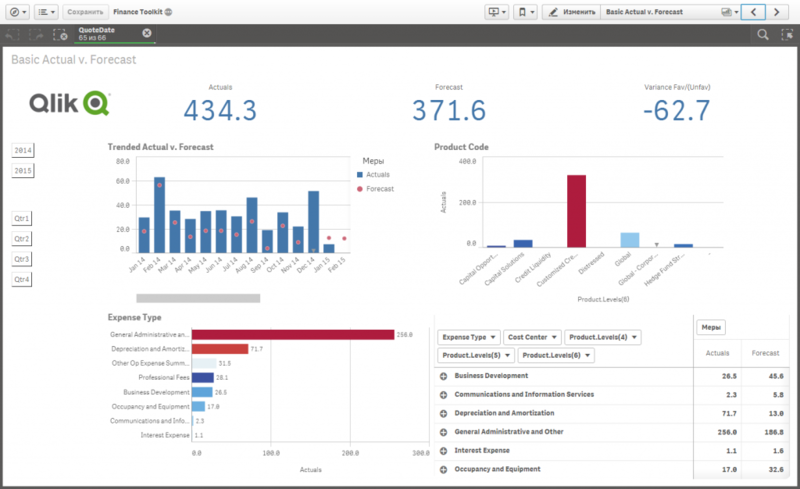 Qlik Sense system is a powerful addition to your accounting systems, which provides the management and the company’s analysts with unique opportunity to see all that is going on in the company. A unique associative principal of working with data allows not only to get standard reports, but to explore data as well. You will begin not only to see, what is happening, but also to understand, why it is happening. 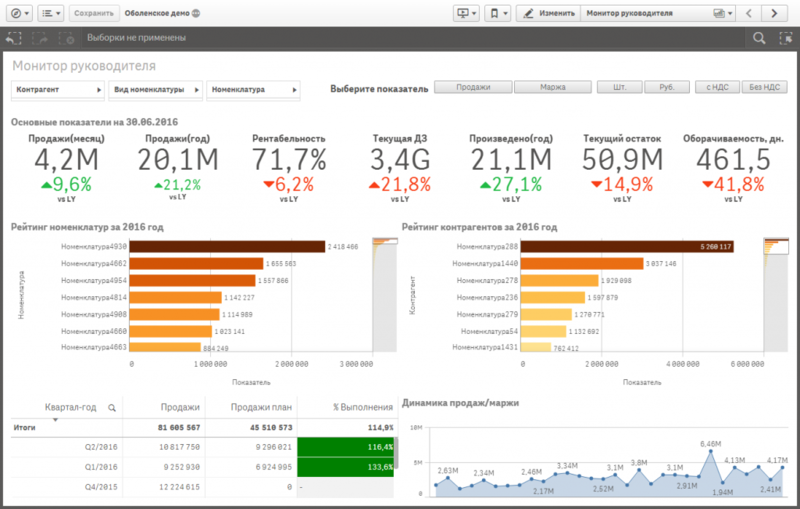 Qlik Sense provides a business-user with the opportunity to work with analytics all by himself, to build new graphs and change the logic without the help of IT-specialists. With the new application you will be able to manage large data currents from different sources and promptly make important decisions. Qlik Sense is used as a server platform, that can serve as a basis for universal applications, that are available from any device. Look through relevant data from different systems in your company in a single application using any device, including mobile ones (iOS, Android, Windows Phone). 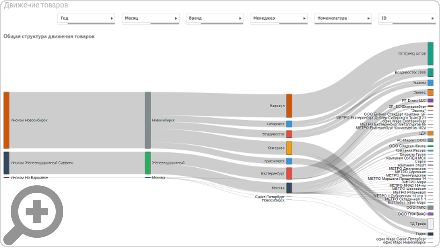 Qlik Sense system has a range of modern colorful interactive graphics, that allows to look at data in a different way. The platform’s interface is adaptive, which allows to work with accounting reports via any device with comfort and usefulness. 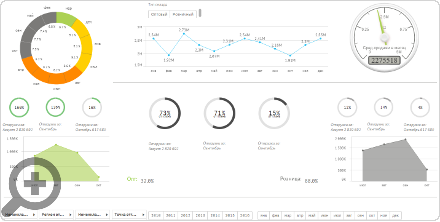 The main advantage of Qlik Sense is that it is simple to use. You can draft any report that you need in just a few seconds without the help of IT-specialists. Qlik Sense analytical system allows to gather information from diversified sources in a single informational system. At the same time no specialized data storage is needed for Qlik Sense. 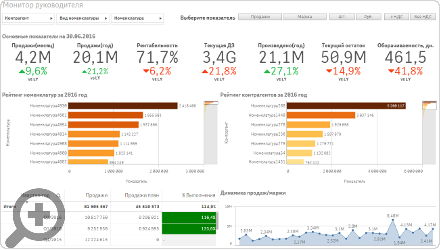 Standard connectors are used for all the systems (1С, MS AX, MS NAV, MS Project, SAP), data bases, structured files, and they allow to collect new data from the systems with the set periodicity and upload them in Qlik Sense. 1C-Connector solves the tasks of uploading the information from several 1C bases into Qlik Sense. The connector allows to choose documents, manuals and other objects that are necessary to download into Qlik Sense from 1C database. The connector supports any 1C configurations and was developed by First BIT Company. 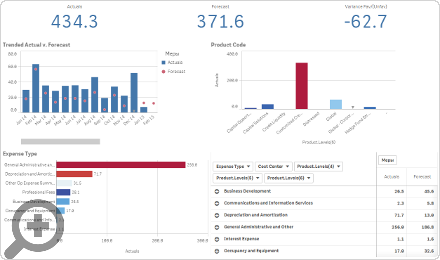 With Qlik Sense you will always be aware of what is going on in the company. You can look through operative information and manage the situation from any mobile device regardless of where you are. 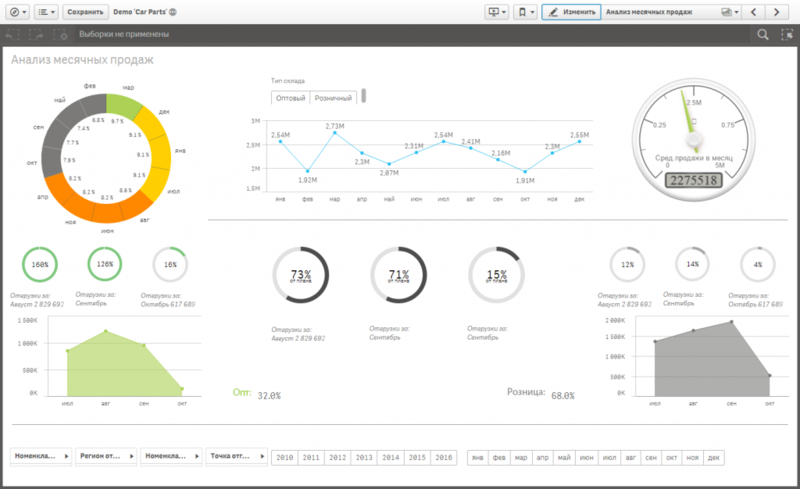 Qlik Sense is adapted for iPad, iPhone, Android and any other mobile devices. Need to prepare a presentation? 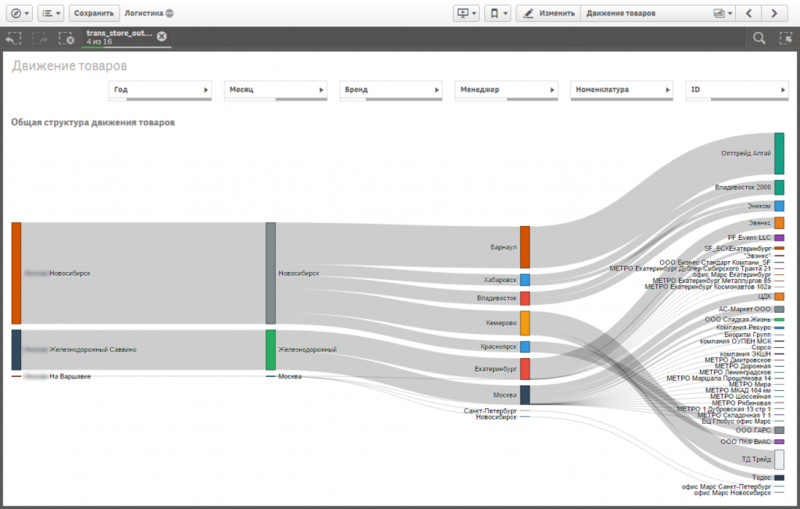 Story telling instrument is incorporated into Qlik Sense. You can create a presentation on the basis of your discoveries, made with Qlik Sense, share it with your colleagues and show it at meetings. This will make perception of separate numbers and factors easier and will also show the whole picture. And, of course, it will reduce time needed for employees to het ready for meetings and will make them more dynamic and effective. One of the key features is the ability to work together in Qlik Sense analytical system. You will be able to post comments under any numbers, ask questions to other users, share your view of data with your colleagues and discuss indicators in Qlik Sense. The spheres where you can use Qlik Sense BI-system are limitless. Analytical systems are used in sales, logistics, marketing, analysis of electronic commerce, consolidation of financial accounting reports, investment management, HR management, manufacturing, project management and other areas. A manager, working with Qlik Sense, will be able to find an answer to any question, taking into account all the specificity of the company’s activities, and, what is the most important, it will be really simple and easy to do. The system will be useful both for directors and for the management to efficiently solve the current problems. Qlik View system has already proved effective for tens of thousands companies from various sectors around the world. The distinctive feature of the system is its fast and inexpensive implementation, that in the end gives the company a significant result. Our clients with Qlik. More than 80 projects in 5 years!